This was a collaboration piece. My husband is much more of an abstract artist in the painterly style than I am, and after I sketched out the centerpiece here, he filled in the background for me in his clever, abstract way. 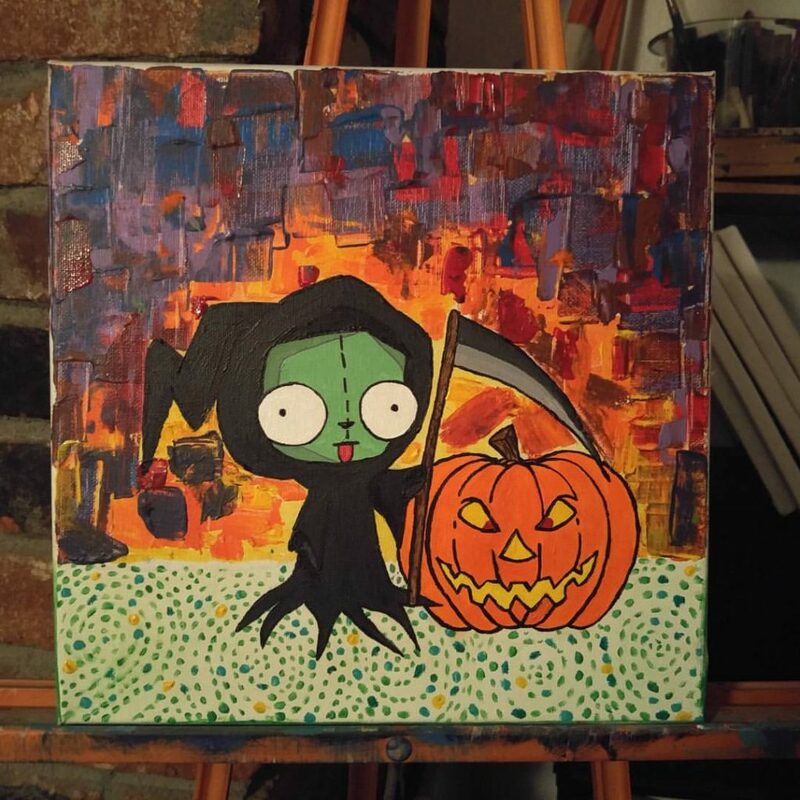 After that, I finished the centerpiece, which is of the Invader Zim character “Grr” in a Grim Reaper costume with a pumpkin. Grr is my favorite character of this old cartoon, and I think the piece gives that aura of the season very nicely here.